After decades of those overdone, 80s-style finishes, not many people still like faux painting: New Jersey homes are mostly painted a solid color these days. 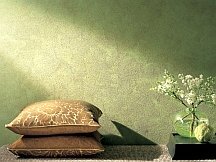 But the faux finishes of today are very different from those you remember: the choice of colors is much more thought-out and often realistic (imitating natural materials), the contrast is subdued, and even the techniques are not the same. 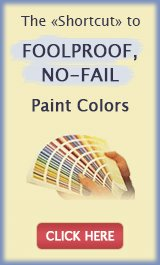 And although it will take some time for sponge and rag painting to completely lose their bad rap, colorwashing and free-form style glazing are still being used in some of New Jersey's homes today, and look very sophisticated (when done properly). New Jersey homeowners that still cringe at the mere mention of faux finishing have other ways to be creative, however - thanks to the modern alternatives below. 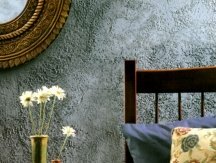 These textured faux finishes add visual interest and depth to an otherwise "bland" decor (that little something that often seems to be missing even in a fully furnished and decorated room), but never look "cheesy" or in-your-face. Color is one of the fastest and easiest ways to change the mood of any room, but textured finishes take it one step further - they also have tactile qualities that allow you to create realistic decorative imitations and infuse the space with warmth and personality. They can be applied to walls and ceilings and don't need any special surface preparation (other than a primed or matte painted surface). This is our favorite finish, and a favorite with many of our customers, and no wonder: it creates the most beautiful, stone-like illusion. And just as it will give a traditional room an old-world, European feel, it will add something special to casual and contemporary decors. The 3-step application process produces a two-tone, multidimensional, high polish finish that is so smooth, you can't stop touching it (and even more depth and translucency can be achieved with additional layers and burnishing). In certain colors (beige, off-white, etc), venetian plaster really resembles marble, but unlike real stone, this finish is soft and easily damaged (although easily repaired as well), so it should be treated with care and not used in areas exposed to moisture. It is not washable but can be top-coated with a special sealer in high traffic areas that need occasional wiping (this may enhance or darken the finish). 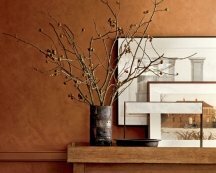 The velvety appearance of "suede" paint can create a feeling of luxury and turn any room into a private oasis of comfort. This delicate finish looks best in muted, earthy colors and is a perfect choice for a den or bedroom. It is applied with a brush in a criss-cross pattern, which results in subtle variations in color, making it look like the real thing. Known by different names, this finish creates a textured look that imitates sand, with an understated stone-like appearance. The texture slightly changes color throughout the day as the light is absorbed and reflected by the tiny granules and subtle sparkles in the coating, giving the walls a captivating depth and richness. Because of its casual yet elegant look, it is a natural choice for rustic and minimalist homes, and an appropriate finish for entries, foyers, and rooms designed for relaxation. The application technique is similar to regular paint. Depending on the colors chosen, the look of this finish may change from charmingly shabby chic - to gracefully antique - to modern. A high contrast between the top coat and the cracks will create a dramatic effect, while a low- to no-contrast color combination will resemble weathered leather. The application technique determines whether the cracks will look subtle and delicate, or ragged and pronounced, giving you even more options at customizing the final result. A modern twist on this timeless look is to use metallic paint for the cracks (gold, copper or silver peeking through is always chic), or a pearlescent finish for the top-coat. Because this finish needs to be applied very quickly, it is best used on smaller areas like accent walls, trim and furniture, and it should always be sealed for durability. 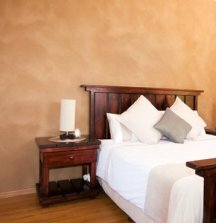 Textured plaster finishes not only create a place of beauty and personal expression, but also hide minor surface imperfections (such as small cracks and holes), so they are often used on old walls as an alternative to drywall replacement. 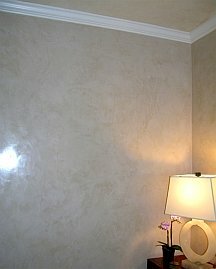 Plaster can be textured in a variety of ways, and then further enhanced with color, faux finishes, stamps or stencils. A putty knife, whisk broom, sea sponge, special roller and/or other tools may be used to make different imprints and produce knockdown, distressed, grasscloth or sculptured effects. 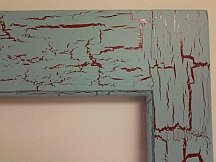 The texture is delicate and not durable by itself, so for protection (and added dimension), it should always be painted over once dry. 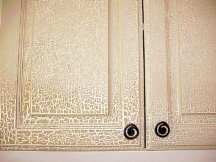 As you can see, these decorative finishes look nothing like your mother's faux painting! 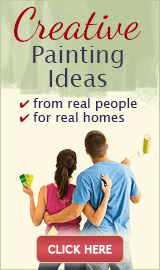 New Jersey homeowners now have everything they need to start embracing creativity in painting again. 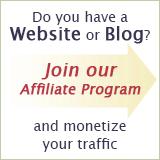 Want to Get a Discount?